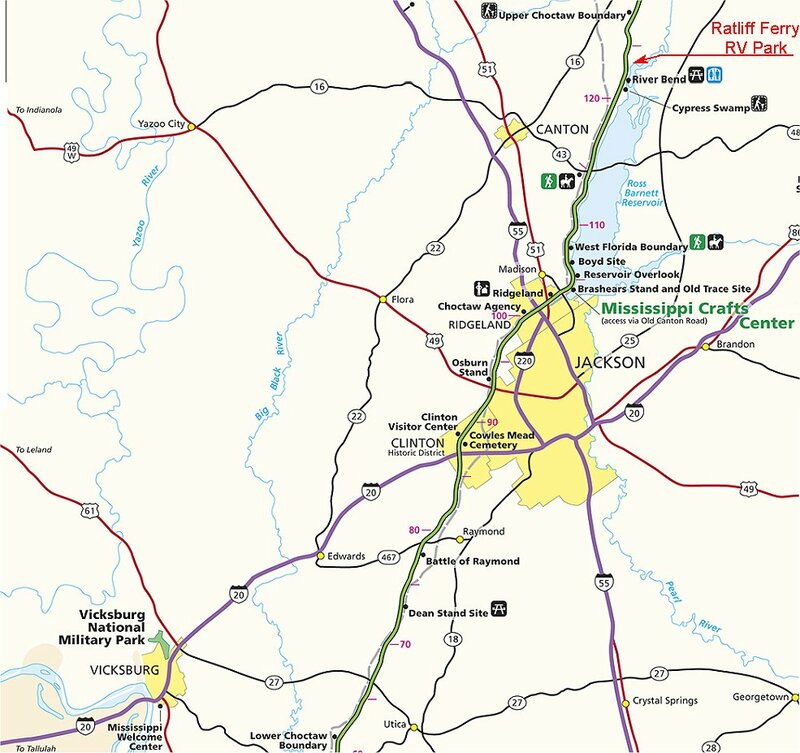 There is construction going on the parkway from Rocky Springs to Ridgland (north of Jackson,MS), so we took highway 27 through Utica, and north on highway 18 and 220 to Jackson Mississippi. 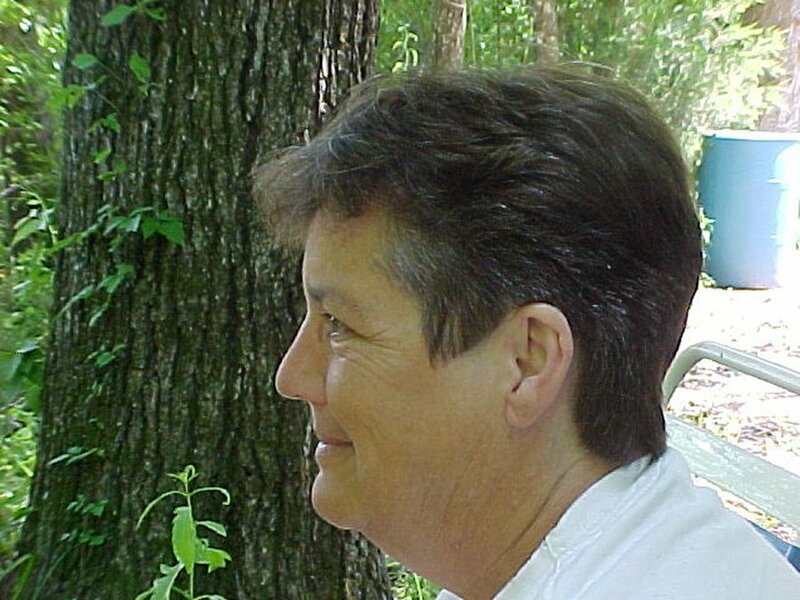 Stopped at the Walmart Supercenter for supplies, then back to the trace at the Mississippi Crafts Center where I had to stop for Nancy to check out. Continuing north on the trace to Ratliff Ferry RV Park. We decided to stay at the Ratliff Ferry RV Park for four nights allowing our mail to catch up to us. 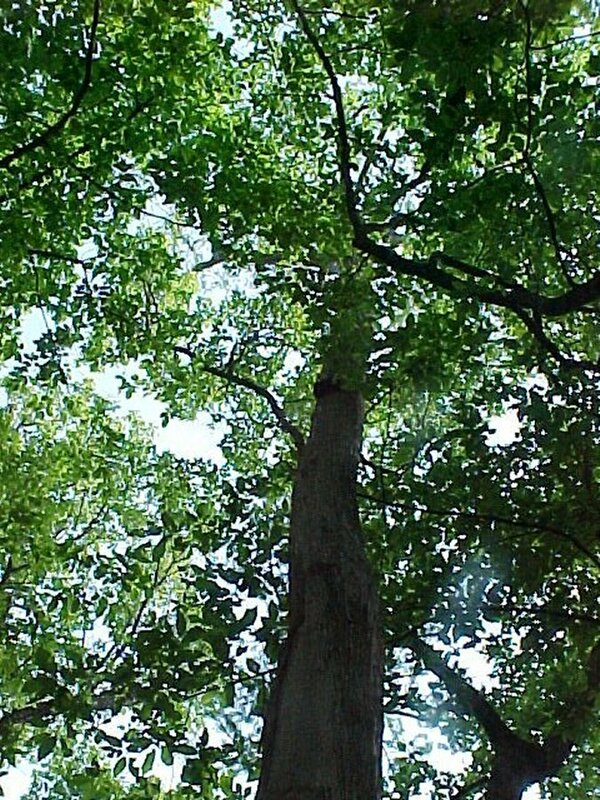 The temperature and humidity are still high. 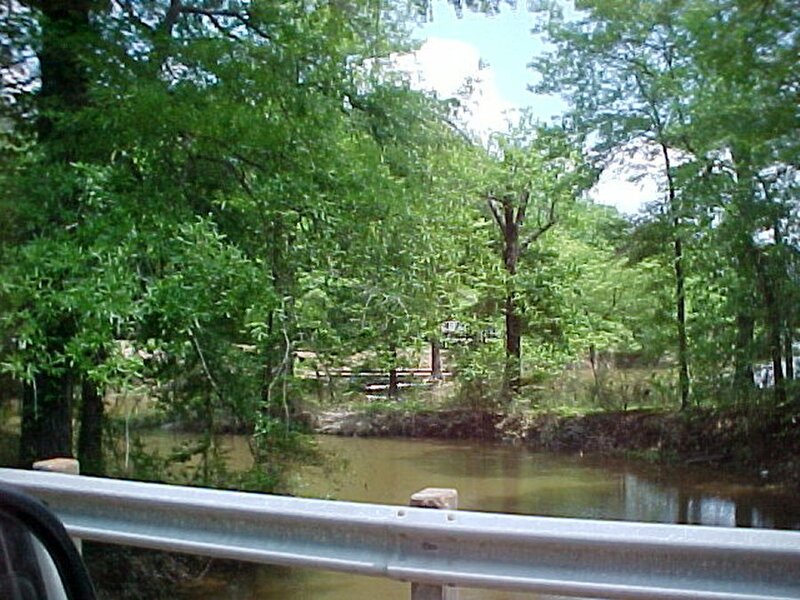 We did drive into Canton and were able to download our email, first city we came to that we had digital and data coverage to download using our cell phone since Abbeville,LA. 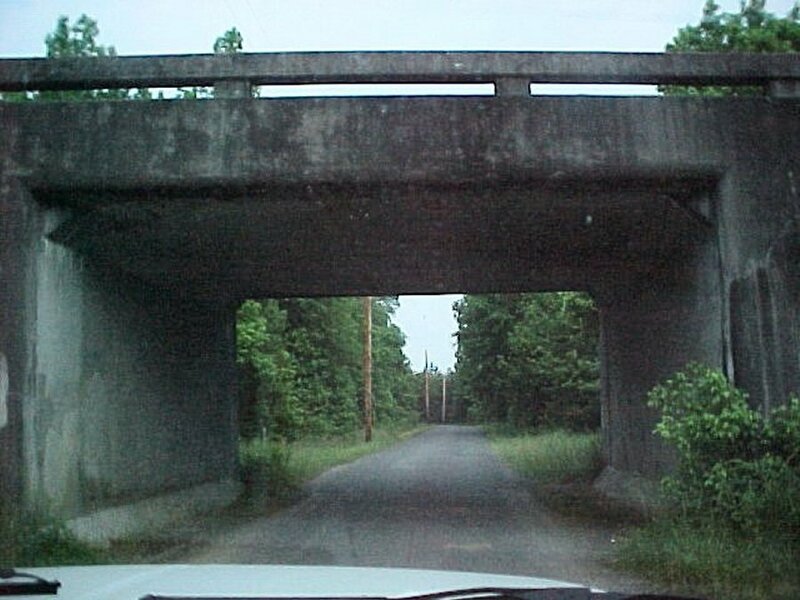 Is this low bridge a short cut? 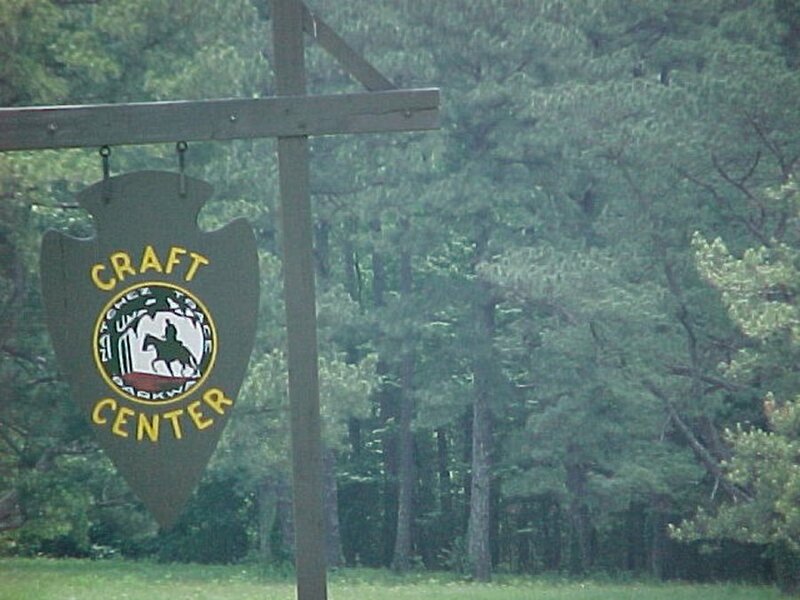 National Park sign for the Craft Center. 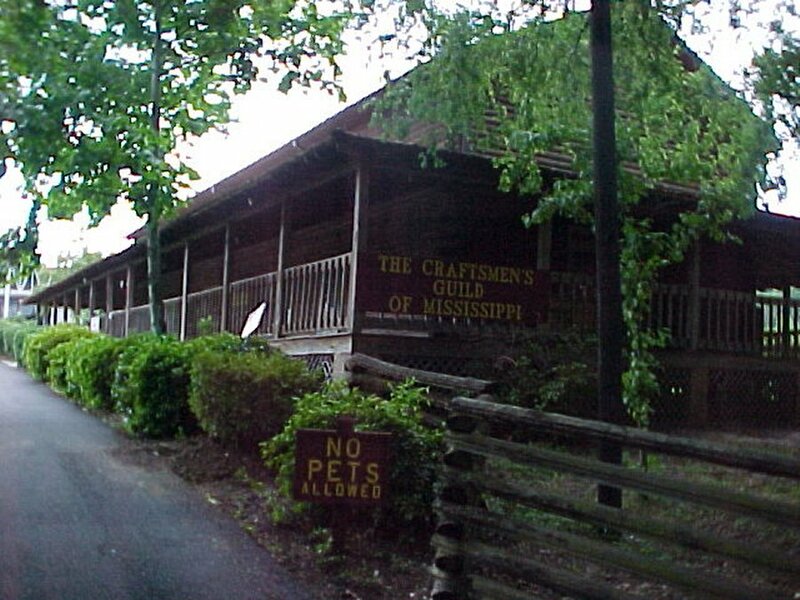 Craft Center from the Trace Parkway. 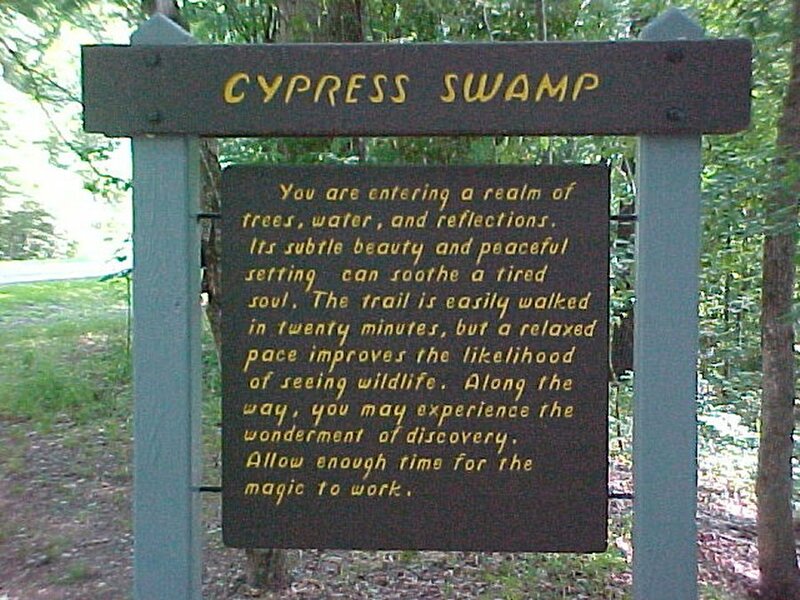 We will camp north of it and the swamp. RV park is through the trees. 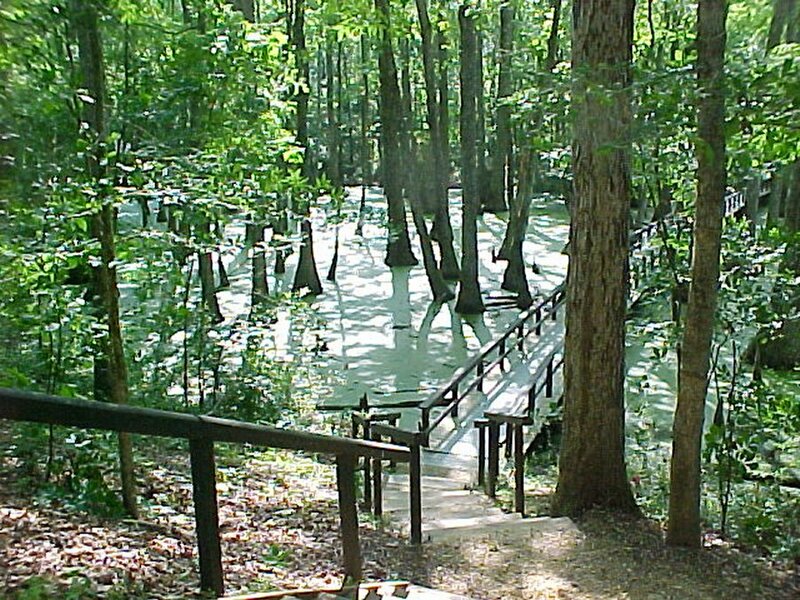 Most known burial mounds in Mississippi date to the Middle Woodland times (circa 100 B.C. to 400 A.D.). 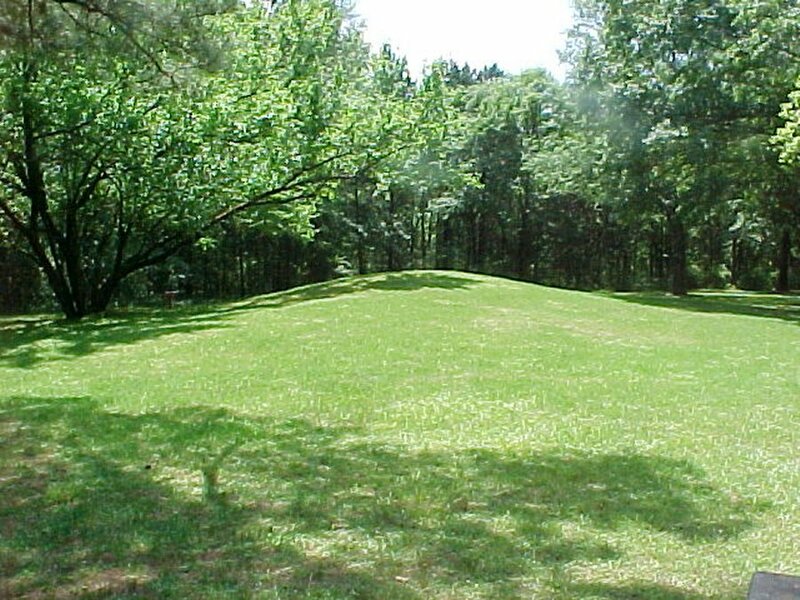 However, the six small burial mounds at the Boyd site were built much later, during the Late Woodland and Early Mississippian periods (circa 800 to 1100 A.D. ). 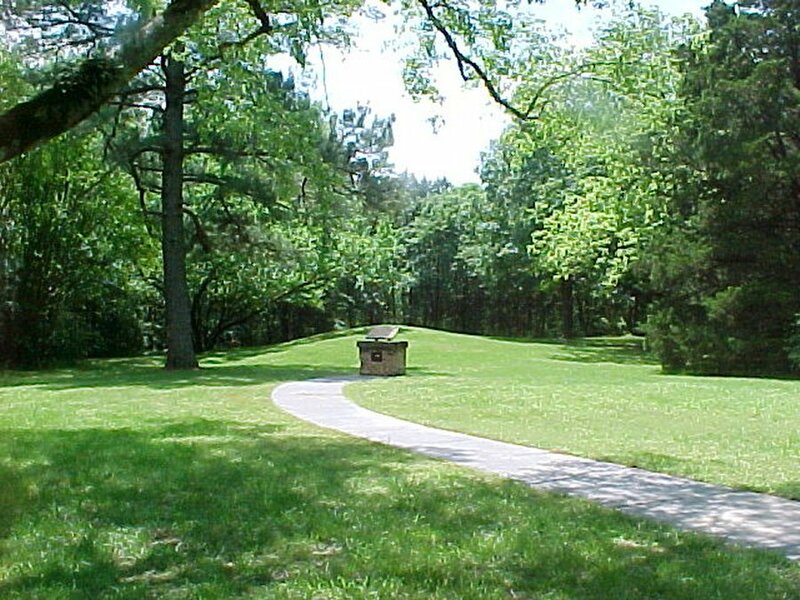 One of these mounds, Mound 2, is situated in a clearing adjacent to the parking area and is accessible to visitors. 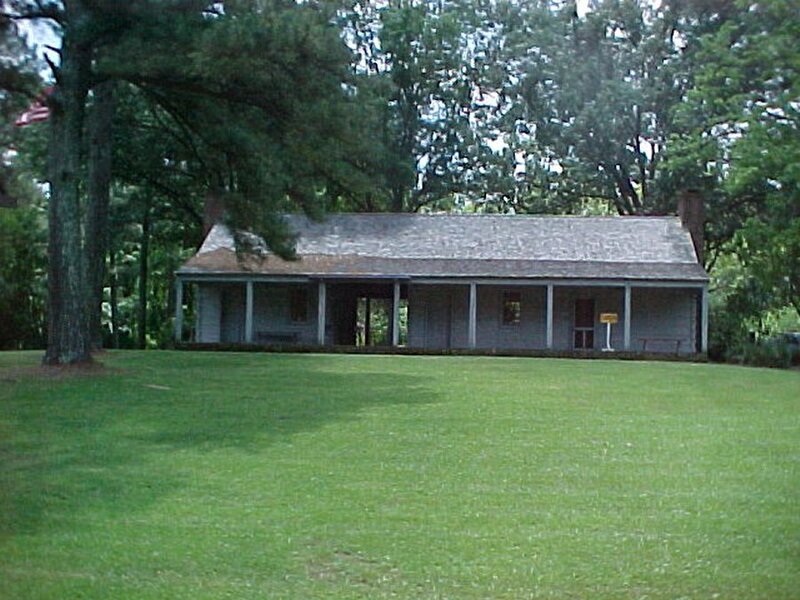 Several of the mounds, including Mound 2, were excavated by the National Park Service in 1964. 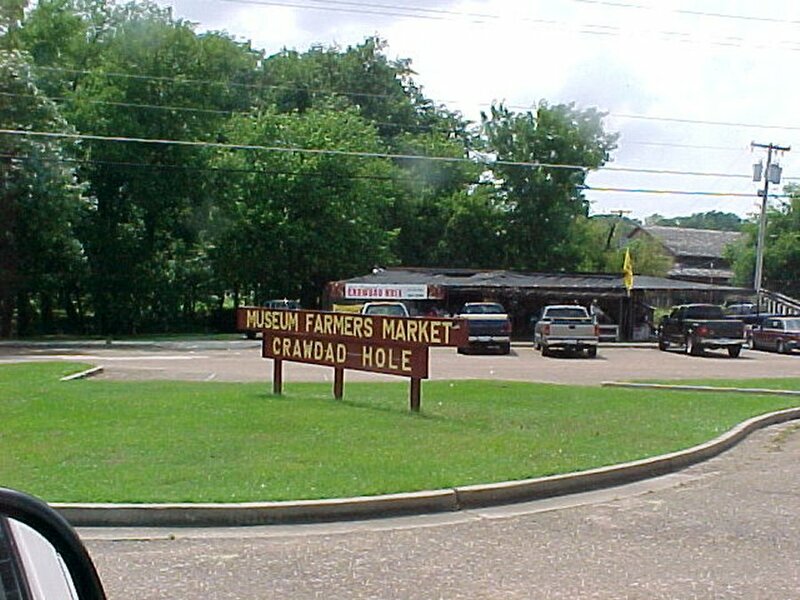 The elongated Mound 2 is some 110 feet long by 60 feet wide and four feet high. Excavation revealed that it is actually three mounds in one: initially, two mounds were built side by side, then both were covered with more earth to create a single oblong, finished mound. The remains of 41 individuals were found in Mound 2, but there were relatively few accompanying artifacts. 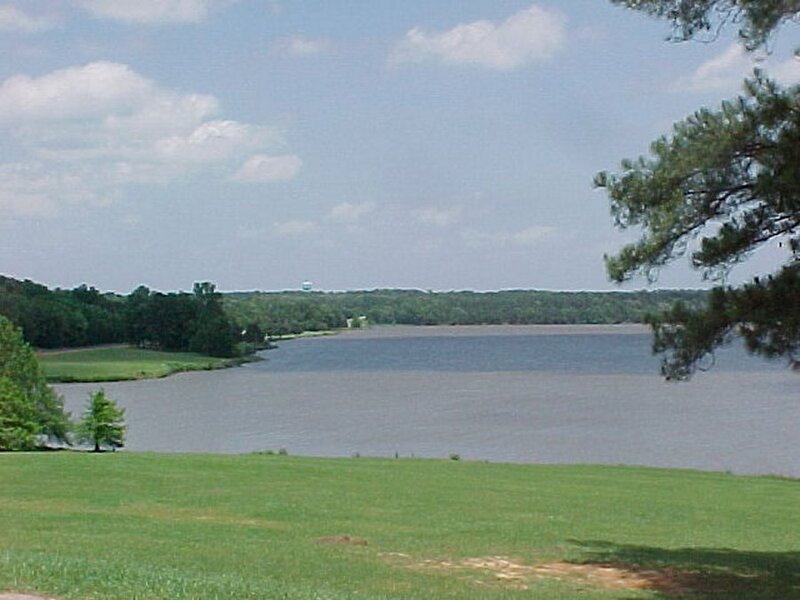 Different pottery types found in separate areas of this compound mound indicate that it was constructed in two phases: the first episode during the Late Woodland period and the second, after a considerable length of time, during the Mississippian period. 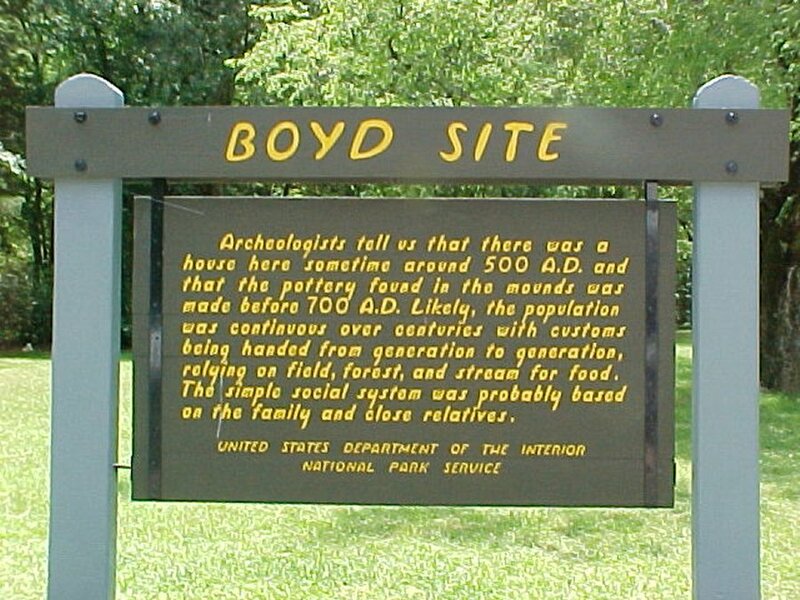 Exhibit for the mounds at Boyd Site. 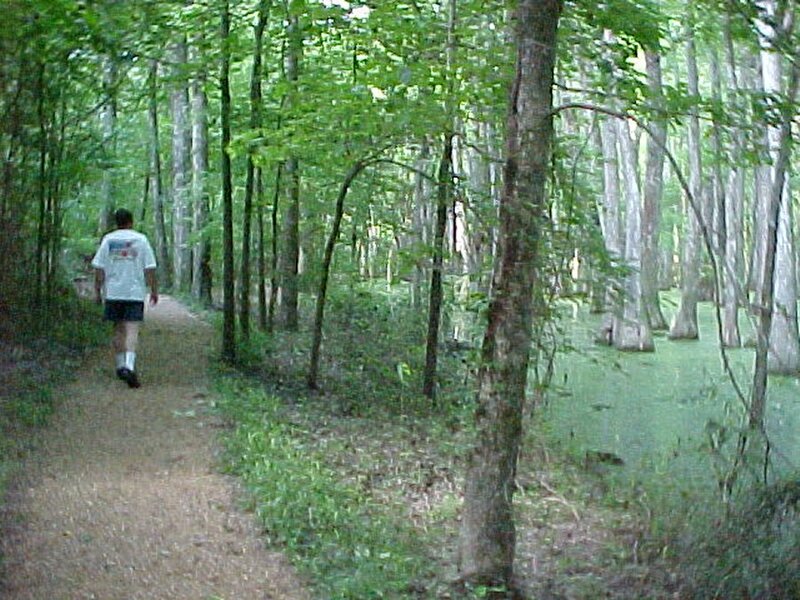 Path to the mounds at Boyd Site. 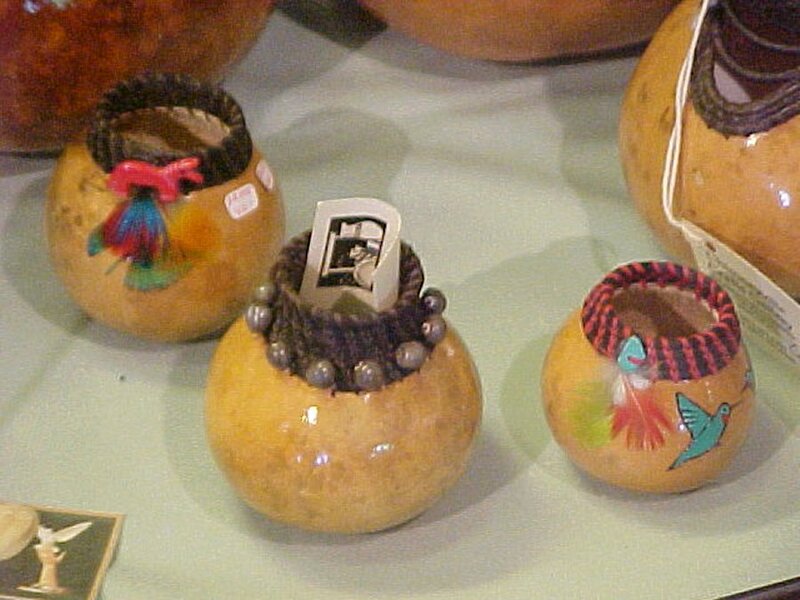 These are the three mounds. 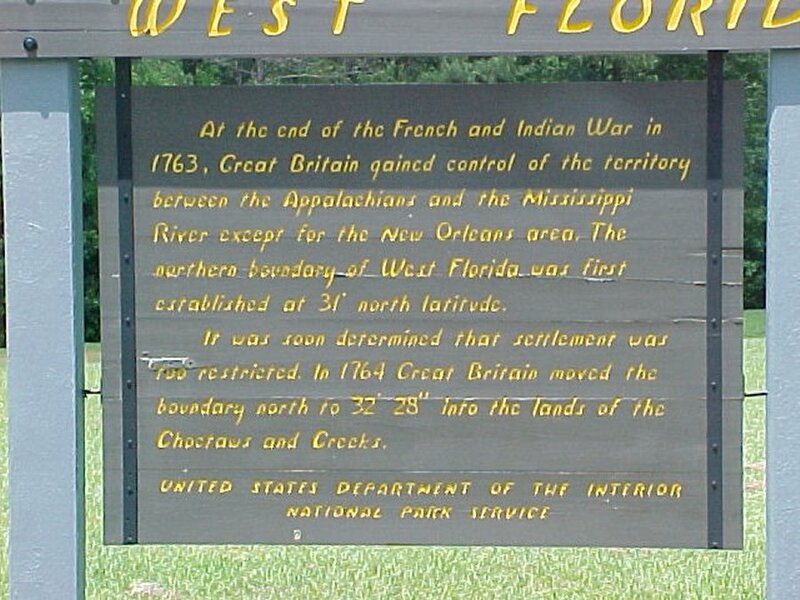 The 1763 Treaty of Paris marked the end of the French and Indian War, and Great Britain ended up with much of the former French territory between the Appalachian Mountains and the Mississippi River. 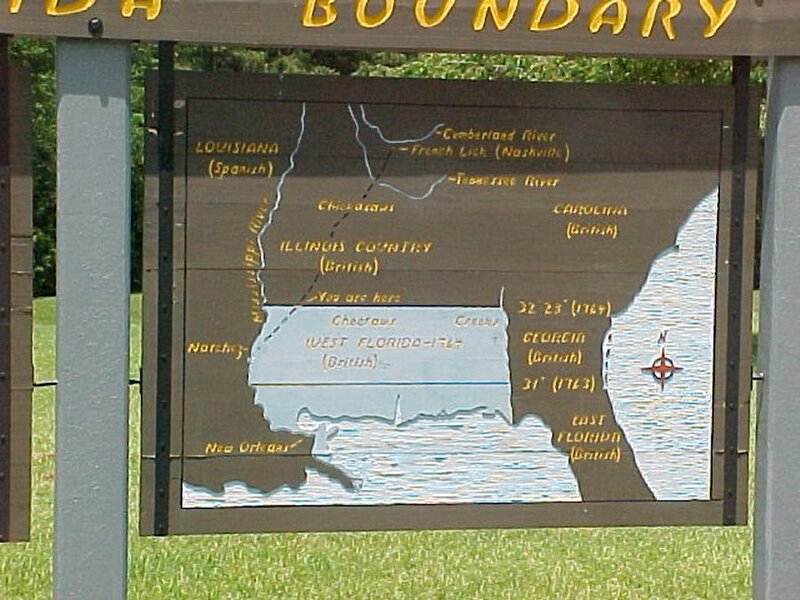 The British formed the highly prized colony of British West Florida with a northern boundary at the 31st parallel north latitude. It was soon discovered this was too restrictive, and in 1764 Great Britain moved the boundary north. 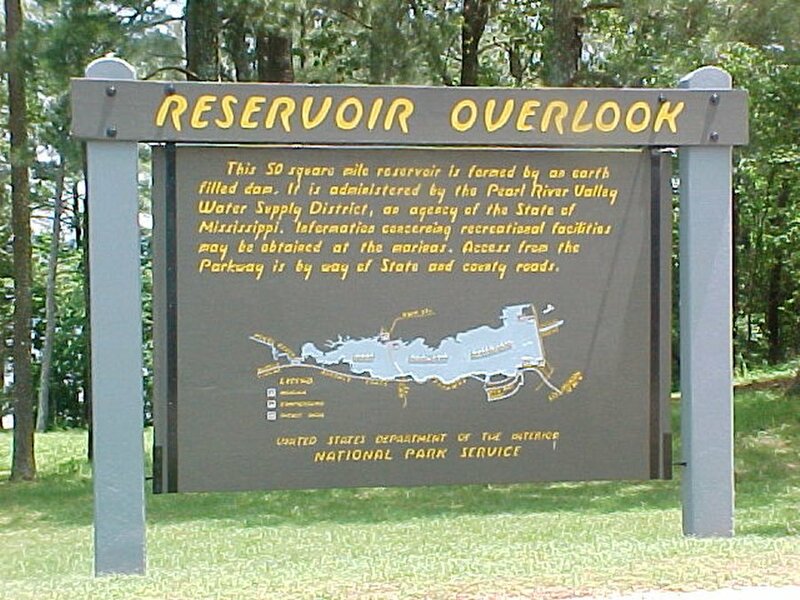 As you drive along the shore of the reservoir north of Jackson you cross 32 degrees and 28 minutes north latitude which was the northern boundary of British West Florida in 1764. 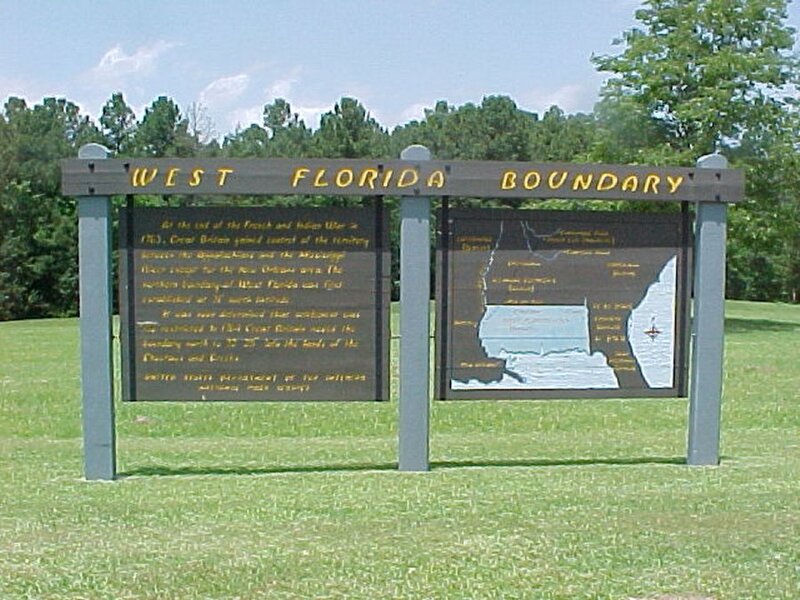 Next stop is the West Florida Boundary. Wow! 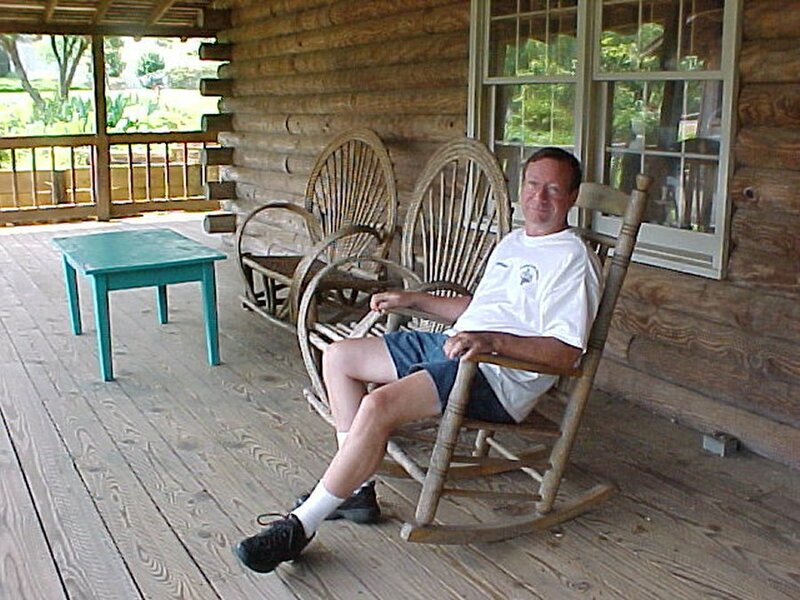 Florida came this far north at one time. Looks like it went all the way to New Orleans. The only wildlife we experienced were mosquitoes. We start down the trail. 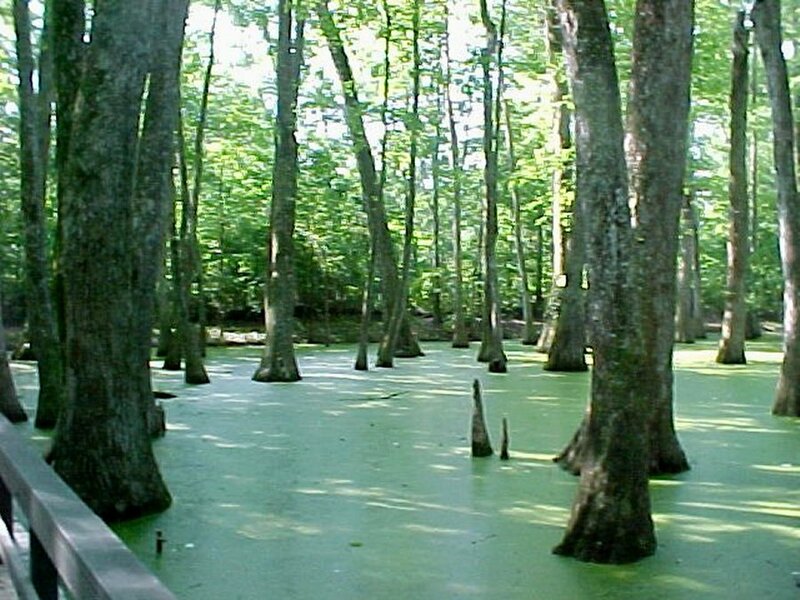 Those things sticking out of the swamp are called cypress tree knees. 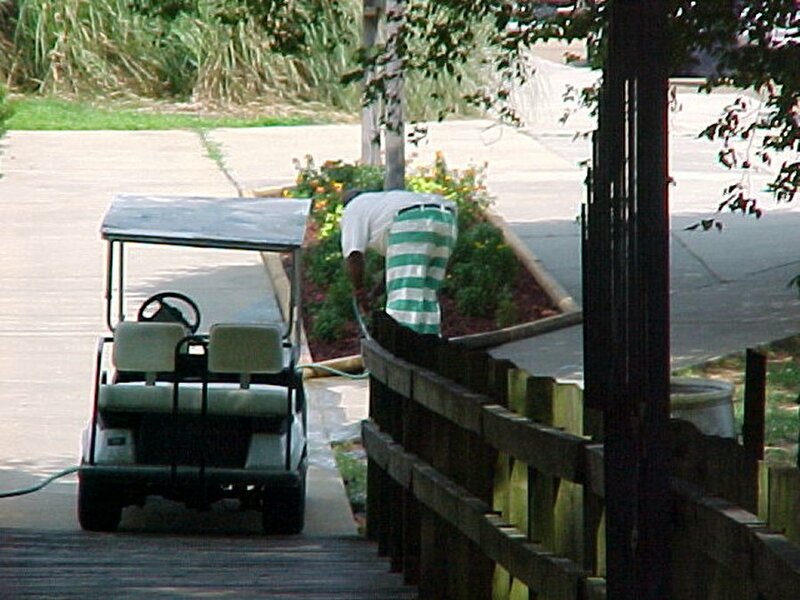 We also saw a lot of these in Florida. David ahead clearing the spider webs. 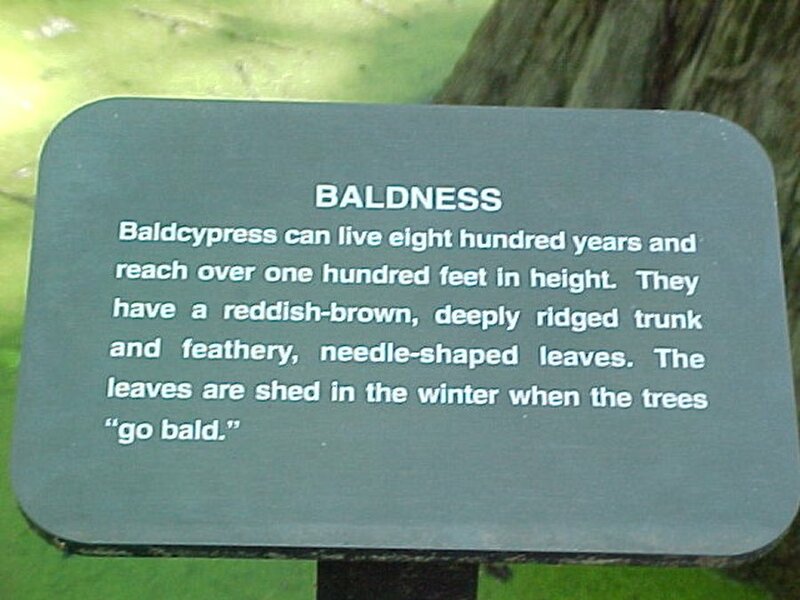 We drove into Jackson, Mississippi one day. Nancy wanted to check out the Craft Store. 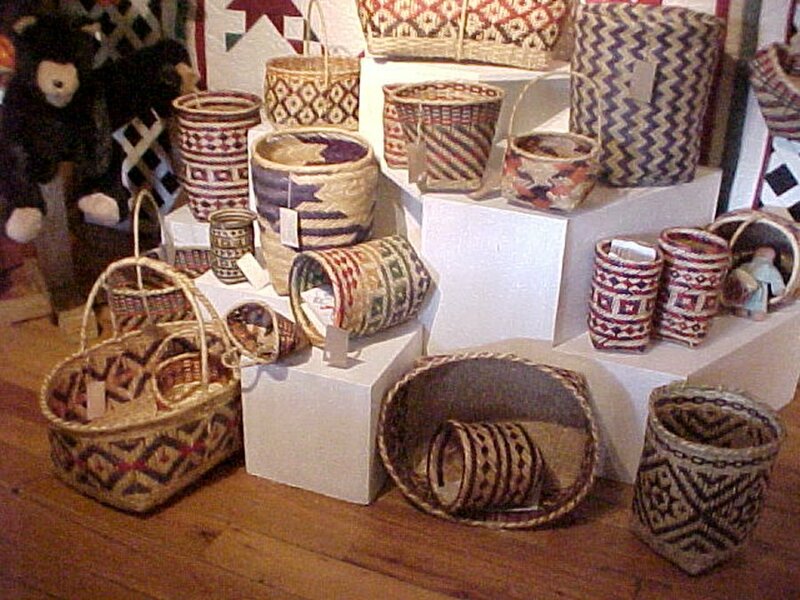 These are crafts made by local artist. David checking out the craft store. A jail bird working in the craft village. This is a restaurant next to the craft store. 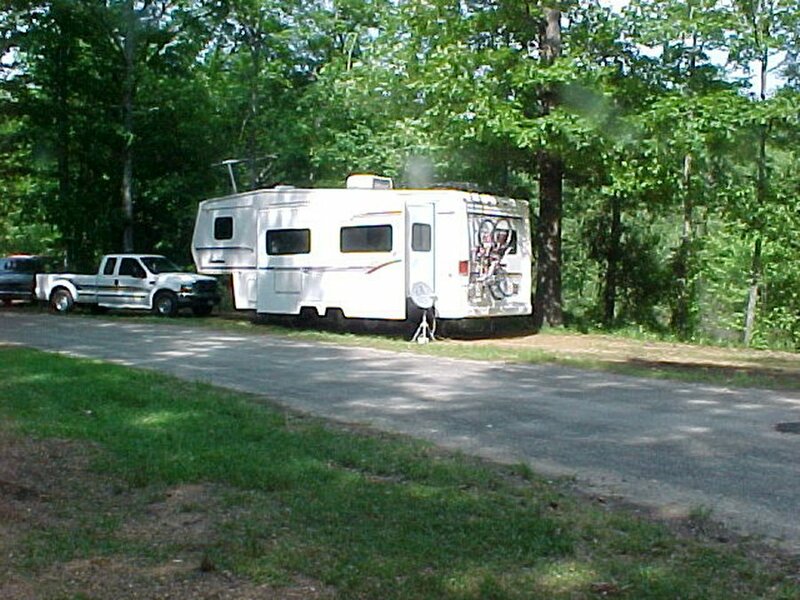 This is our site number 24 in the Ratliff RV Park. We drove into Canton to do laundry, get fuel, and eat lunch. While doing laundry there was a barber shop next door. 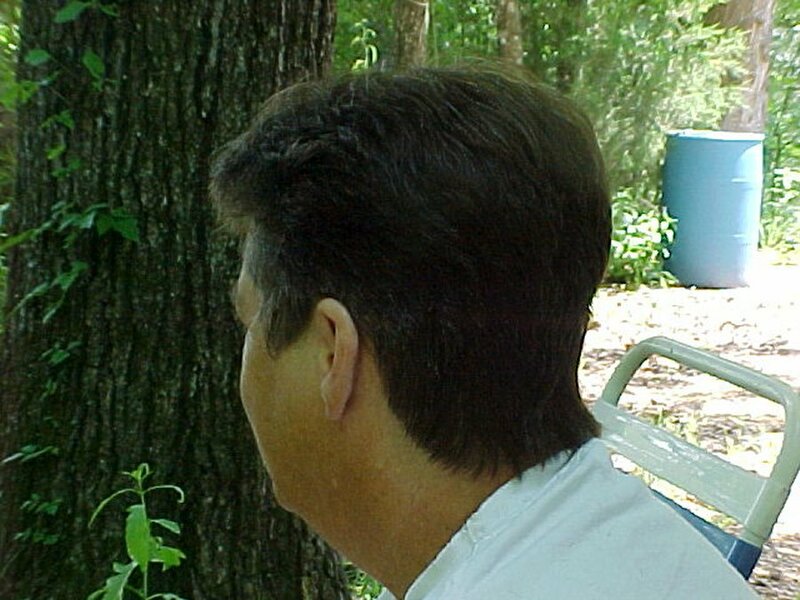 The place seemed busy, but they put Nancy at the head of the line and she got scalped by a black barber in Canton, Mississippi.